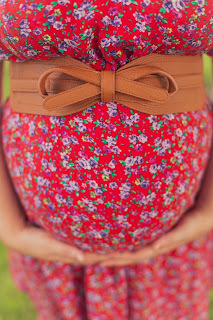 A new baby is coming and you are ready to celebrate! This fresh new little one is going to be surrounded with love, support, and endless hope for a beautiful future. This party is the baby's first big welcome, and if you want to take care of their future, why not celebrate it with an eco-friendly theme? The survival of our environment will play a huge part in the future of this tiny little one. The UN reports that we only have 12 years to make dramatic changes to life on Earth before Climate Change's effect are unable to be stopped. These babies will still be in elementary school then. This isn't just their adulthood at stake- it's their childhood! So if we want them to have a happy one, it's time to change course on how we approach our lives. Babies give us the perfect opportunity to reconsider our relationship with stuff. Babies use a lot of stuff, and the baby shower can be the beginning of a giant pile of junk and waste that comes with little ones. Instead of accepting this as "normal," you can pick a theme that minimizes waste (and actually gives the parent's the help they really need). Materialism is constantly and easily mistaken for love, but what parents actually need is your support (your time, validation, positivity, etc)- how can we make a shower more about that and less about the big pile of wrapping paper? 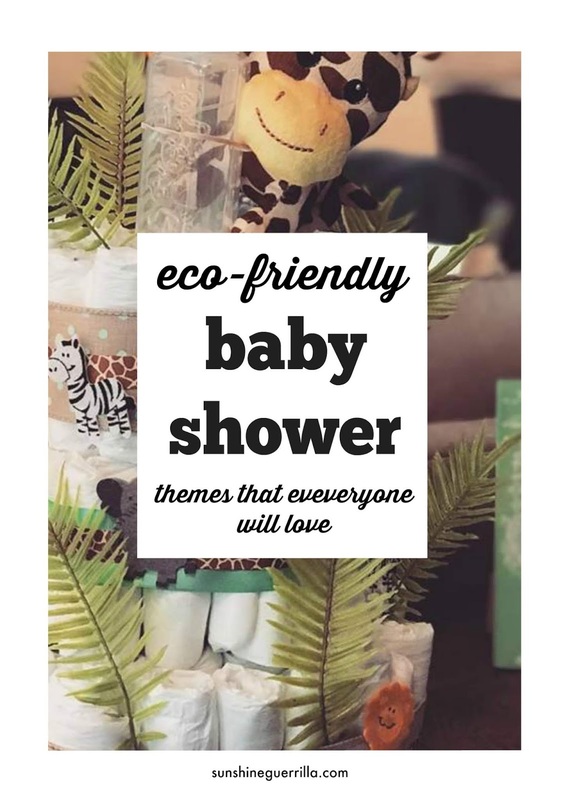 In other words, let's pick a baby shower theme that is better for the baby, better for the earth, and better for the parents. It seems like a tall order, especially when regular themes are stars or jungle or Winnie the Pooh. But it can be done! And it will be cute! -Start a Green Registry. Use our Eco-Friendly and Natural Registry to find earth-friendly options for everything on your list. -Use Eco-Invites. The easiest way to do this is to opt out of paper invitations all together, and use an e-vite instead. If you think this will cause too much pearl clutching, you can get something simple (on recycled paper) from Artifact Uprising or Paper Culture. - If Possible, Opt Outside. You will need fewer decorations, it will be more photogenic, and everyone will feel happier. A backyard or park is a perfectly gorgeous (and free) alternative to most banquet halls and party spaces. - Avoid Making Trash. Use reusable plates, silverware, and napkins. If that isn't an option, you can still find greener (and prettier!) options than the disposable plates and cups we are used to. Check out our party supply blog for everything you need. - Make Secondhand Your First Choice. Babies get so much stuff, but other than the car seat and crib, you really don't need it to be new. You can get the word to guests that you would prefer secondhand stuff through word of mouth or on the invitation (check out our post on how to ask for secondhand stuff on your invitation). -Serve Less Meat. The production of animal products comes at a huge environmental cost, but that also means one of the easiest steps we all can take is simply eat less meat. So one of the easiest ways to throw a green shower? Serve less meat. Maybe none if you can pull it off! -Discourage Wrapping Paper. It's a huge waste! Do bags (which can be reused) or just don't wrap at all! We will talk more about this later. - Play Greener Games. I would never suggest you don't play games! Who doesn't love that awkward fun? But some of the games create a lot of waste (looking at you, creepy diaper candy bar game). While you are picking games, try to choose things that are fun AND low waste! These days, many people end up having more than one shower, and they end up with WAY more stuff than they need. 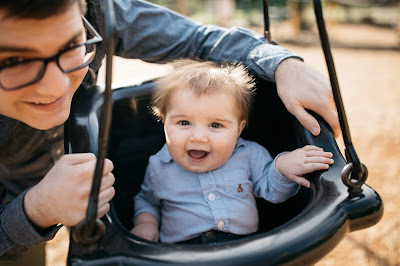 If you know yours isn't the only shower (or even if it is), consider how you can take better care of that baby's future, and it likely will include a turn away from so much stuff. Ok, now if you want to plan an eco-friendly shower to the next level, here are some ways to organize it. About five minutes into parenthood, you realize you could have gotten all this stuff secondhand (and often from friends and family members). Baby stuff has such a short life- a baby swing is an absolute lifesaver... and then three months later you are totally done with it. Nearly everything we have bought in our last 4 years of parenting was secondhand (Easter outfits, toys, shoes... seriously everything). Secondhand just makes more sense with tiny kids. So can you imagine how nice it would be to have a secondhand shower? I especially love the idea of a hand me down shower, because it can be hard to part with things from when your kids are babies, but just knowing it will go to another baby that the gifter will love opens that flood gate. You can ask for secondhand stuff (you can see ideas on how to do it here), but you could even call the shower a "hand me down" shower on the invitation to signal that those who had children can really just bring things from their own collection. Even a few years ago, giving something secondhand had a stigma around it, but it doesn't have to anymore. Embrace the theme (maybe pick a quilt motif for all your invites and such?). The Good it Does For the Family- You can get one sleeper for 30 dollars. Or for the same amount of money, you can get 5 secondhand. And no matter where you buy it, that thing is getting pooped on. So you can help the new parents check off everything on their list by creating a vibe where secondhand stuff is welcome. You can check off everything on their list. Also, I think handing off baby stuff between parents can be a powerful gesture, and those objects have so much meaning in them. It feels more special. The Good it Does for the Earth- Everything that lands in the new parents' home won't be in the landfill. We need to embrace an economy of reuse EVERYWHERE in our lives, because too much stuff is already out there. Also, new stuff travels in those little plastic envelopes you get when you order clothes online. Secondhand gifting minimizes plastic and fossil fuel waste, meaning a cleaner world for that sweet baby. -Maybe tell a little story in the invitation about a hand me down the new parents had as kids that they adored. - Choose a fun motif that speaks to family for decorating- a hope chest, quilts, or a vintage teddy bear. Set the scene in a beautiful way. - Ask your guests to bring pictures of themselves and their babies as babies to decorate the whole party. Frame the new baby as the newest chain in a long history of love and family. 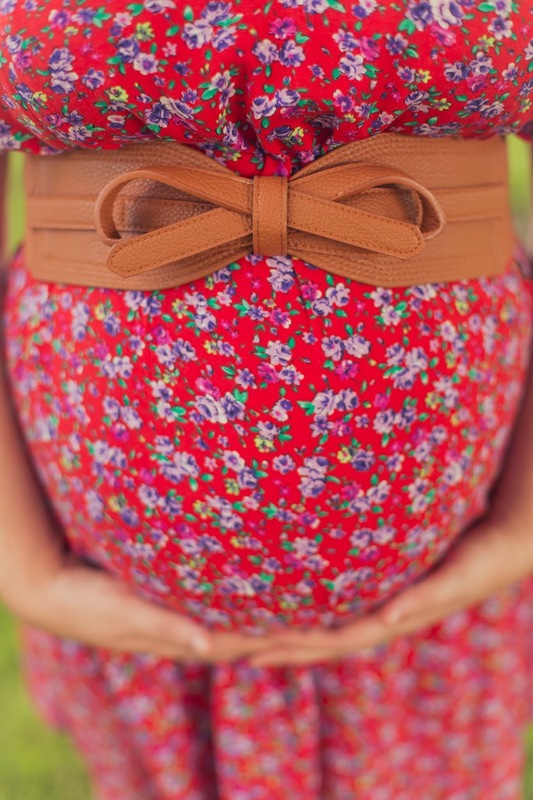 Instead of hosting a party before the baby comes, schedule something for a month after the due date. Plan a (small) gathering of friends to help the new parents get ahead. Bring freezer meals, clean and do laundry, and even just give the parents a chance to take a nap! Planning it a little later gives the new parents something to look forward to and help when they most need it. Because when you are in the thick of that transition, no number of cutesy baby items will help. This party reinstates the cultural traditions where your village takes care of you in this season. The Good it Does for the Family- Somewhere in the last few generations, we have mistaken consumerism for actual support. Just buying someone something is a reasonable stand in for showing up for them. It's not, and nowhere is this more clear than with a new baby. The sleeper may be adorable, but it can't help a sleep-deprived new parent get some actual rest. They don't need stuff, they need you. They need your support, your validation this is hard, and your love when they barely recognize themselves. Spoiler alert: the need for a support system won't end! So establishing a village(and infusing that village with joy) is the absolute, unbeatable gift. The Good it Does for the Earth- Overconsumerism defines the moment we live in, and it is terrible for the environment. If you buy a baby gift in the store, it has already created a lot of waste in packaging and shipping materials. It has also used tons of fossil fuels being shipped from the country it was made in (exacerbating Climate Change). Experience and service gifts don't create any of that waste. Fun Details to Pull it Off- First, make sure to check with their parents that they are ok with this. Second, make sure all participants have their vaccinations. - Send an invite online, and tie it into a sign up genius, so you can show up on the day with a plan. - Plan it as a breakfast or lunch, so people are long gone when bedtime rolls around. This is perhaps the most mainstream of the shower themes. Decorate and plan all around a "growing" motif- serve a vegetarian menu, give away plants or seeds as the gifts, and ask for gifts to grow into in the invitation. 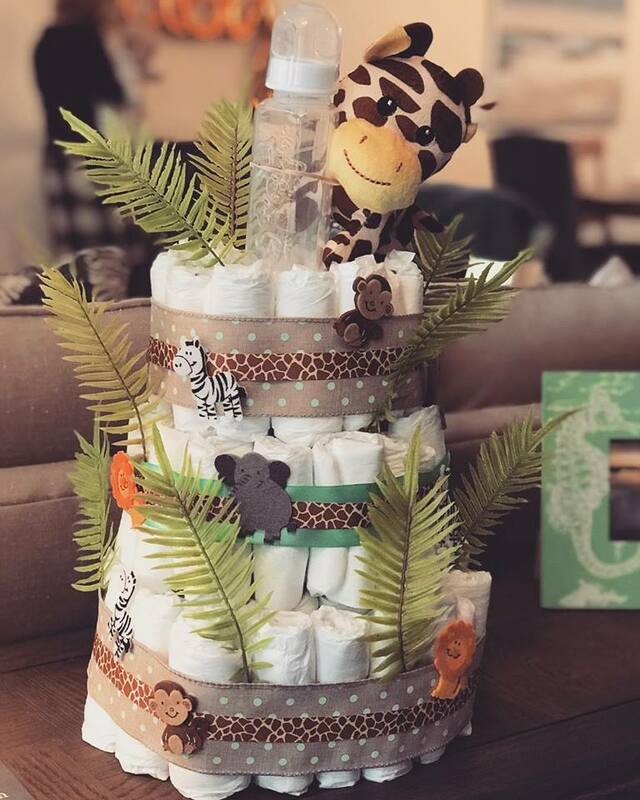 Use this theme as a way to breezily mention that this earthy baby could use "earthy" gifts- this way you can ask for secondhand and natural gifts. You could go about this with another goal as well- don't get SOOO much for the baby in those first few months. Anyone who has had a baby will tell you (especially if they have a girl) that they had so much clothes for the first 6 months that they didn't even wear it all once. Split up the gifts by age (0-6 months), (6-12 months), and (12-18 months). This will cut down on waste and lots of gifts that can't even be used. The Good it Does For the Family- In those first few months, the baby doesn't actually need much! By spreading the gifts by age, the parents might get a more even spread of gifts that will help them financially for a longer time. Plus, the stress on naturalness means greener gifts with fewer chemicals coming into their home! The Good it Does for the Earth- Too much stuff is never good for the planet, wasting materials and resources. Also, stressing natural baby gifts means that fewer chemicals are being used for manufacturing. -Make potted plants and herbs the centerpieces. Give them away as the favors. - Have the shower outside! Maybe in a garden or another green space. - Have the big gift be a CSA box subscription for the parents. It can be nice to have an excuse to eat healthy food in that first year! Wrapping paper is a huge source of waste at parties like these. We have all seen those bags full of paper! You can easily cut all of that out by doing an "unwrapped shower." Each guest brings their gift unwrapped and sets it out on the table. Everyone can still see the cute stuff the baby got, but there doesn't have to be a "gift opening" portion of the party (thank goodness; that nonsense is boring). This is great for everyone, but it is especially perfect for shy parents who may not want to be the center of attention. If someone wants to make sure they see the parents' receiving their gift, they can walk them over during the party and tell them all about it. As a side note, you could use this idea for any shower theme. Simply ask that the guests bring their gifts unwrapped on the invitation. The Good it does for the Family- Really, for a shy parent, casual parents, parents traveling a long distance for their party (just bring a picture and send the gift to their home), or parents who just want a different kind of party, this frees you up from the "main event" of most of these types of parties. And let's just mention one more time that watching someone awkwardly open presents and try to be the same level of excited for each one is mind-numbingly boring. So the big benefit here is that you could have more fun or eat more cake instead. The Good it does for the Earth- All of that wrapping paper adds up, and it is terrible for the Earth. Will skipping it single-handedly save the Earth? No, but it will do some good. And all these little but positive steps add up. 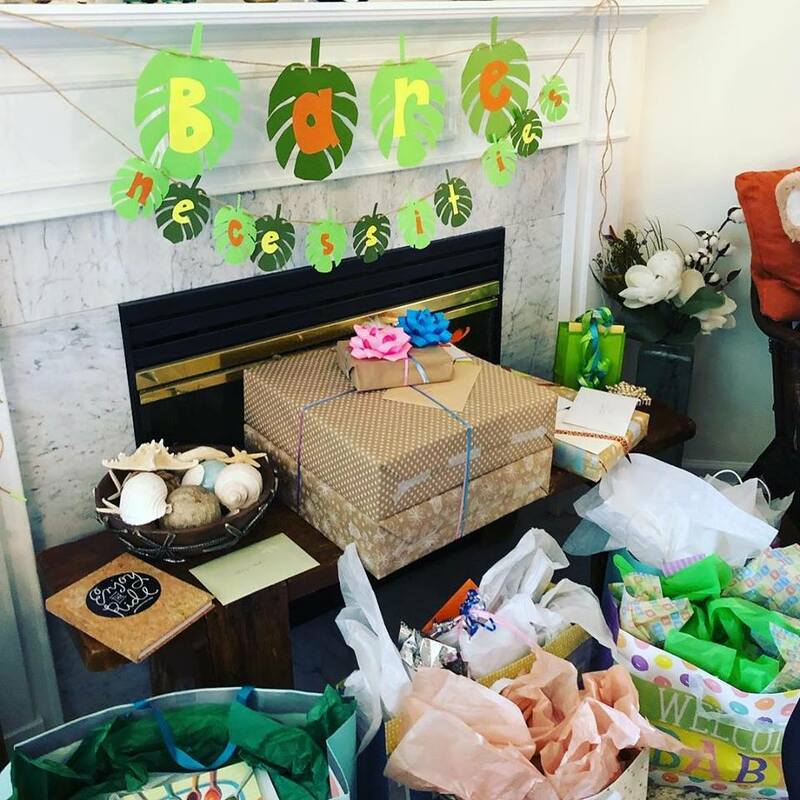 How did you throw an eco-friendly baby shower? Did you ask for secondhand gifts for your baby? How did you pull it off? Awh such a great idea for a baby shower! These are some really great ideas. I know for myself, looking back, I wish I had opted for more second-hand items. We hardly used somethings that we received, just because it either wasn't quite right for us or the baby grew so fast we hardly had time to use it. Love these ideas to be more eco friendly.